Monitoring your cardiovascular health is important, since many of the disorders that affect your heart, including hypertension and high cholesterol, have no obvious symptoms. At the office of Tim Martin M.D. in Abilene, Texas, Dr. Martin and his team offer comprehensive heart screenings and preventive cardiac care. To schedule your cardiovascular evaluation today, click on the online booking feature or call the clinic directly. When should I be concerned about my heart health? Taking care of your heart is a lifelong commitment — you only get one heart, after all. Many of the chronic conditions that affect your cardiovascular health, including high blood pressure, atherosclerosis, and high cholesterol, don’t have any clear symptoms until they’ve progressed to dangerous stages. This is why routine heart screenings and preventive care are so essential. It’s particularly important to start making lifestyle changes and focusing on your heart health if any of the following concerns occur. These are just some of the initial warning signs that it’s time to start being concerned about your heart and working with your preventive care team to keep your heart healthy. What happens during a heart screening? Your heart screening could also include an electrocardiogram (EKG or ECG) to evaluate your heart function. This simple, in-office test involves applying electrodes to various points on your body. The system records your heart’s electrical pulses and lets Dr. Martin know if you have any abnormalities in your heart function. How often do I need a cardiovascular screening? Generally, it’s important to have a thorough cardiac screening visit about once a year, especially if you’re at risk of developing heart disease, possibly due to high blood pressure or high cholesterol. Plus, the personalized care plan Dr. Martin designs for you isn’t going to work overnight. It takes time — often at least several months — for you to start having an improvement in your cardiovascular health tests. 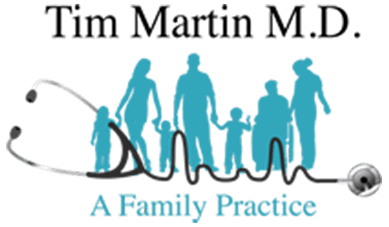 By checking in with Dr. Martin annually, or as recommended, he can ensure that your heart health management plan is working for you. 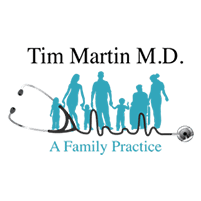 You can get comprehensive cardiovascular care at the office of Tim Martin M.D. Book your cardiac screening online or call the clinic directly.